One more way you can support our school is by….shopping! We are now part of some great programs that give back money to the school every time you shop. Please keep us in mind every time you shop at Amazon, Fairway or if you can purchase products with Box Tops. Set your amazon bro wser to use Amazon Smiles! Our school will receive a small % of the purchase at NO additional cost to you. Ask your relatives and friends, small dollars together add up to a large impact. From your desktop, go to Your Account from the navigation at the top of any page, and then select the option to Change your Charity. Or, from your mobile browser, select Change your Charity from the options at the bottom of the page and choose Manhattan New School PTA. Our school automatically gets 3% of your total sales! On Fairway Double Days, every dollar you spend will count twice (that's 6%) for our school. It's win-win! If every single MNS family scanned their Fairway card for even $30 of groceries on a weekly basis, PS 290 would get more than $19,000 raised per school year! Calling all Box Tops! 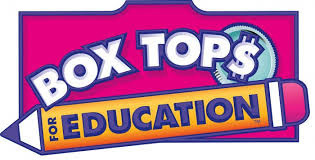 Clip and send your box tops to earn free extra cash for our school. See the extensive list of products. You can always send in your box tops through your child's teacher in a baggie or envelope labeled "Box Tops." Or, drop them off in the purple box located in the PTA section of the main office where our parent coordinator is located.